This multi-color combo bouncer is a great combination bouncer and slide unit. Brightly colored in reds, blues and greens. 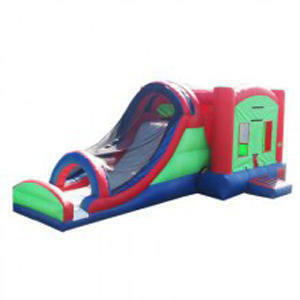 The unit feature a roomy bounce area with climb and slide.